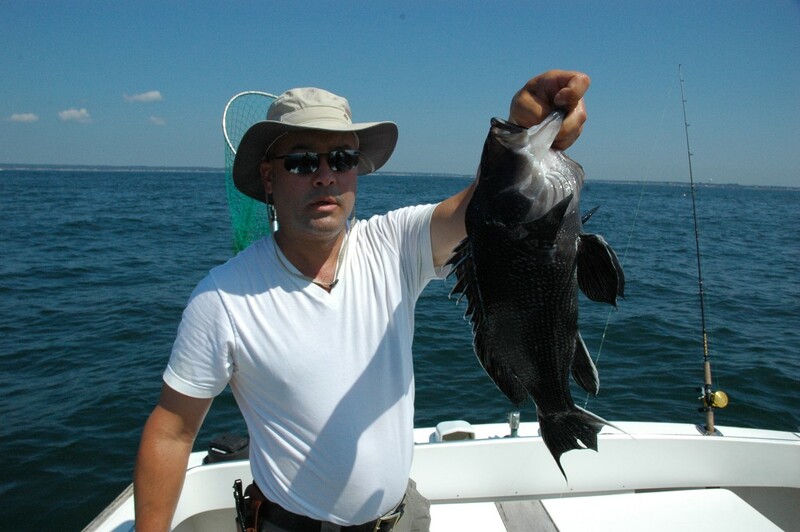 Captain Chuck has been fishing and boating in Rhode Island for most of his life. He loves to spend his Summers on the water. He holds a United States Coast Guard 50 ton Master License and is CPR/AED First Aid certified. He has official designation and recognition as an “IGFA Captain/Guide”. Captain Chuck founded Flukin’ Charters in 2009 to give tourists and locals the opportunity to experience the beauty that Rhode Island’s coastline has to offer. The Gail Ann is a 1997 Blackfin 33′ Combi. She is 33 feet long with a 12 foot beam and weighs over 20,000 pounds. This legendary hull rides through the rough water effortlessly. She is powered by twin 430 horsepower Volvo-Penta TAMD72EDC diesels. These engines were the high horsepower upgrade for that year. The boat can cruise anywhere between 18 and 27 knots, and she can reach speeds in excess of 30 knots. 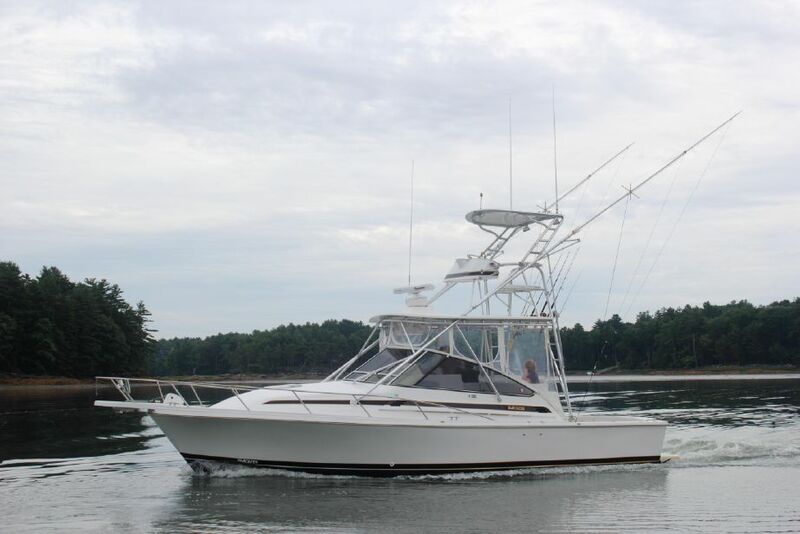 Fishing amenities include four gunnel mounted rod holders, two transom mounted heavy duty swivel rod holders, cockpit coaming pads, lift out fish boxes, raw and freshwater wash downs, a bait prep center with cutting board and live well, a marlin tower and Lee outriggers. The recently upgraded electronics include a Raymarine high definition radar, a Raymarine GPS / chartplotter, and a Furuno fishfinder with twin transducers. The Gail Ann is well cared for and meticulously maintained and upgraded by her knowledgeable captain and Volvo Penta factory trained technicians from the team at Point Judith Marina in South Kingstown, Rhode Island. She has passed a UPV Examination and meets all USCG requirements for uninspected passenger vessels.